Joe & the Juice, a Danish juice and coffee bar chain, just opened its newest Chicago location and offerings include coffee, tea, sandwiches, fresh juices, smoothies, and veggie shots made with organic ingredients and all prepared in the store. 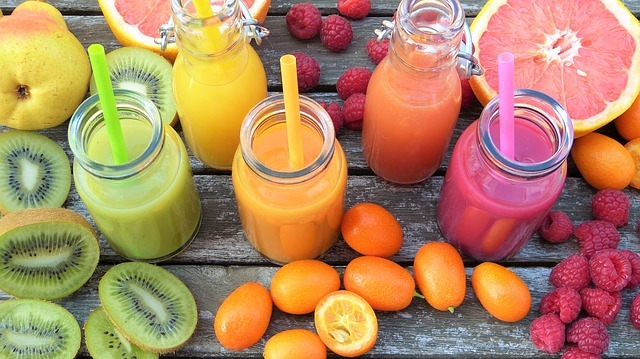 Juices include recipes for all occasions of life like Pick Me Up (raspberry, banana, and apple), Go Away Doc (carrot, apple, and ginger), and Stress Down (strawberry, apple, and ginger). Pair your drink with one of their sandwiches, such as the Tunacado made with tuna mousse and avocado or the Chickpea with chickpea mousse, avocado, and tomato pesto. Joe & the Juice has a unique approach to customer service – the staff is “casted” and trained to focus on upbeat conversation and relating to customers. Music also plays a huge part in the concept with the staff creating their own mixes, giving the juice bar a fun, club vibe. Visit Joe & the Juice weekdays from 6 a.m. to 9 p.m. and weekends 8 a.m. to 8:30 p.m.